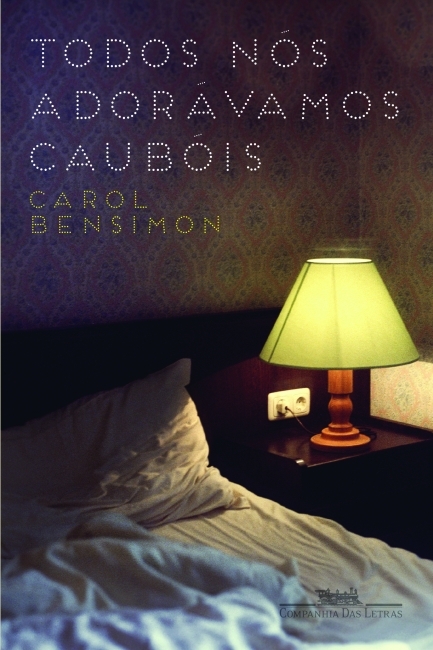 Here's one hot off the Brazilian presses: Todos nós adorávamos caúbois (We All Loved Cowboys) by Carol Bensimon, published October 7 by Companhia das Letras. Readers may already be familiar not only with Carol, but also with this book, as the first chapter appeared in last year's Granta's Best Young Brazilian Writers issue, under the title Faíscas (Sparks). This short novel, just under 200 pages, tells the story of Cora and Julia, two twenty-somethings in the middle of a 'quarter-life crisis' who reunite for a road trip after a few years apart, and their attempt to rekindle a friendship (and possibly more). Set against the backdrop of the small immigrant communities and rural areas of southern Brazil, Cora and Julia try to make sense of where things went wrong and how to put the pieces back together. The story is sprinkled with frequent flashbacks to scenes from both their childhoods and important moments in their intense relationship. Cora, the story’s narrator, is an only child of divorced parents, raised in an upper middle class home in Porto Alegre. Adding fuel to an already troubled relationship, her father marries and has a baby with a woman just two years older than Cora. Cool and beautiful on the outside, with sarcasm to match, Cora is teeming with emotions on the inside, prone to post-feminist identity crises. She's seemingly always in search of something, but doesn't know what that is. Julia, on the other hand, is a small town girl, with a stronger connection to many of the places the women visit, even if she has never been to them before, and understands the complex elements of life in a small town that often escape urban, sheltered Cora. After Julia and Cora meet at a student party, they began a tumultuous relationship. One day Julia announces she's moving to Canada to finish her degree. Cora is hurt, and the girls’ already strained relationship ends abruptly. Cora soon leaves herself, enrolling in a fashion course in Paris. A few years later, Julia reconnects with Cora and they plan to take the ‘great unplanned road trip’ they'd always daydreamed about in college. They wander for several days with no particular destination, letting the map, and their emotions, lead them (though we'll realize later that Cora isn't all that open to chance and actually does have quite a specific plan in mind). Put those images of Thelma and Louise to the side. Every marketer lacking in inspiration (or perhaps time to read this book?) seems to want to compare this book to the classic female buddy/road trip movie. No one robs a convenience store, no one drives off a cliff. What I personally kept returning to was Mexican film Y Tu Mamá También. It's not exactly a traditional coming-of-age story, as in the film, since the two women are well into their twenties, but the book does bring up issues of becoming an adult, maturing (and straining) family relationships and rethinking previously-held notions and desires. It’s ‘coming of age’ again, when you realize you’re not all that grown up after all. Todos nós Adorávamos Caubóisis peppered with anecdotal characters met along the way and small details that give the book real flavor that, in their own ways, draw a contrast with the women and their surroundings. Bensimon’s writing is personal and relaxed, with occasional light humor (often stemming from Cora’s sarcastic wit). The writing has a very fresh, feminine voice, but it is by no means “girly”. Something quite nice about this book is that it shows a very real side of Brazil, but one that strays from the usual exotic images of sun-drenched beaches or favela gang-bangers. Bensimon even plays on this lightly when Julia’s American boyfriend assumes (incorrectly) that she’ll be going to the beach on her trip back to Brazil. Even though it's a road novel, the book is just as much about the the characters as the places they go, and much of the book takes place in the tiny, enclosed spaces of hotel rooms, a car and Cora's head. Lately Companhia das Letras has been producing some really lovely book trailers for new releases. Click on the link to check out the trailer for Todos nós Adorávamos Caubóis. 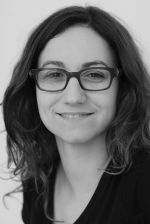 More about the author: Carol Bensimon was born in Porto Alegre, in southern Brazil, in 1982. She's published several short stories, including the collection Pó de parede (Wall Dust), in 2008. Sinuca embaixo d’água (Underwater Snooker), her first novel published by Companhia das Letras, was shortlisted for the São Paulo Prize for Literature and the Prêmio Jabuti (an excerpt was also published in the August 2013 issue of Words Without Borders). She is also a literary translator, and her list of publications includes last year's beautifully illustrated graphic novel adaptation of The Picture of Dorian Gray. She blogs regularly for the 'Blog da Companhia'. To find out more about Carol and international rights, you can contact Companhia das Letras or the MTS literary agency.